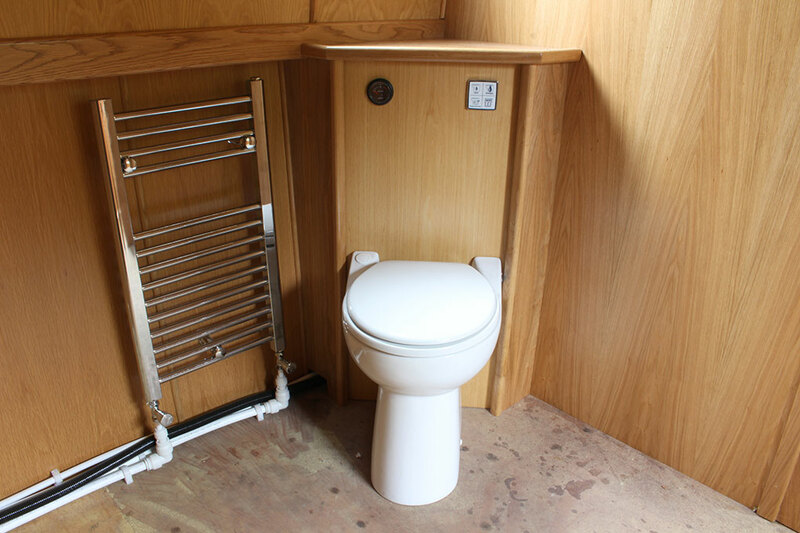 Our Sailaway range of narrowbeam and widebeam canal boats are designed to give the perfect head start for those looking to undertake their own internal fit-outs. 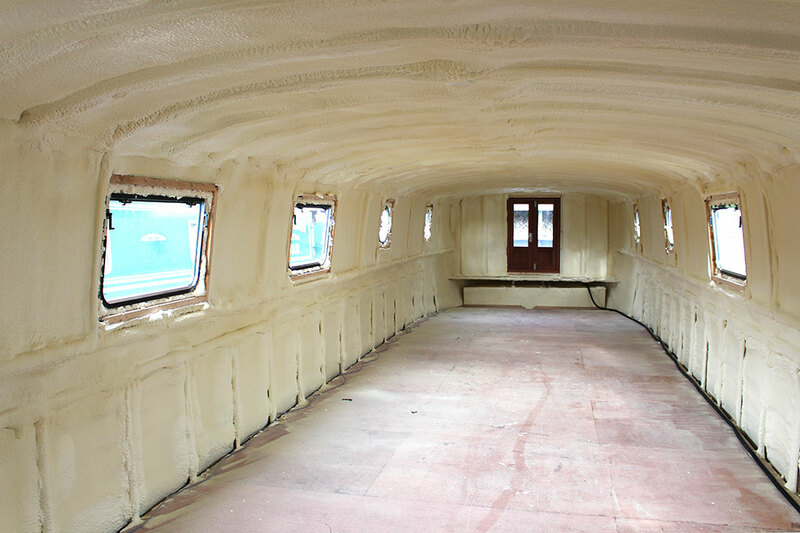 As standard we offer three types of Sailaways built to various levels of completion, accommodating various budgets &/or DIY capabilities. 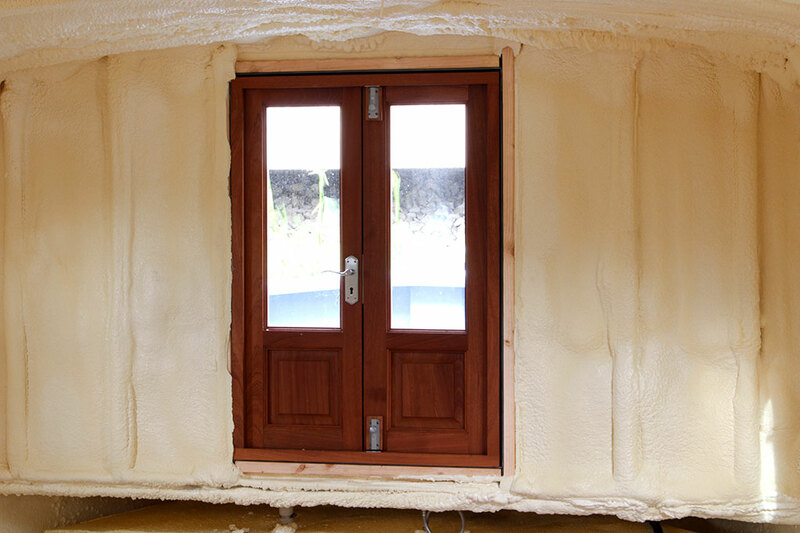 If you would like to build on our standard specifications talk with anyone of our knowledgeable sales team and we’ll create you a quotation meeting your exact requirements. Order a Sailaway from The New & Used Boat Co. and receive invaluable advice and guidance regarding on-board equipment and your proposed internal layout. Pre-manufcature we’ll produce you a professional manufacturing drawing set for approval. Sailaway lengths range from 40ft to 70ft all available in widths of 6ft 10″, 10ft, 11ft or 12ft. Budget as with many investments can be the deciding factor in the buying process. If you are on a limited budget a Sailaway Basic could be the only option for you however it is really worth taking into consideration how much money and time will be involved in getting a Sailaway Basic up to the Lined and Additions Specification. 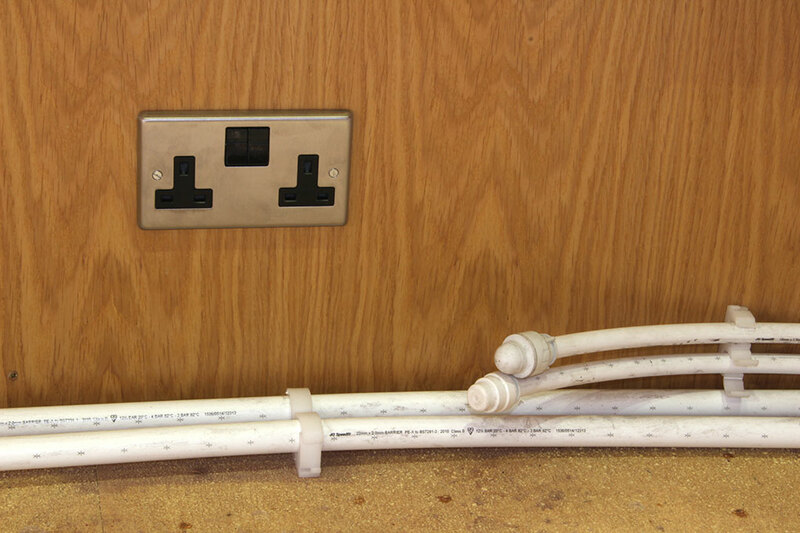 This is especially important if you are looking to employ people to do any of the electrics, plumbing or painting as you will not only need to purchase the products/equipment but pay for the installation or painting, which as with houses can quickly escalate. You’ll also need to consider whether you have anyone in mind for the work whether they come recommended and also which many people can over look whether the boat will need to be moved, transported or craned out of the water as part of the process. Another important consideration when looking to go down the sailaway route is your capabilities in terms of dedication, commitment and skills. Budget aside your capabilities could also be the deciding factor for which type of Sailaway you choose. 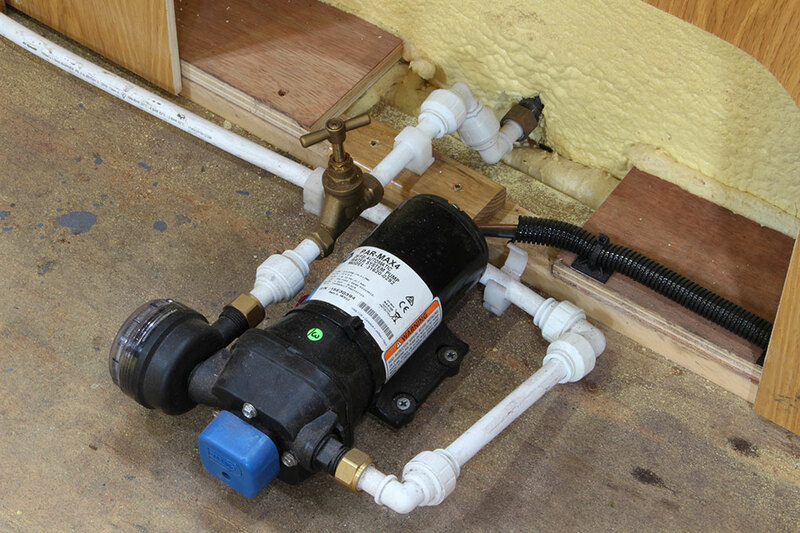 If your skill set isn’t suited to the electrics or plumbing you’ll probably favour the Sailaway Additions option. 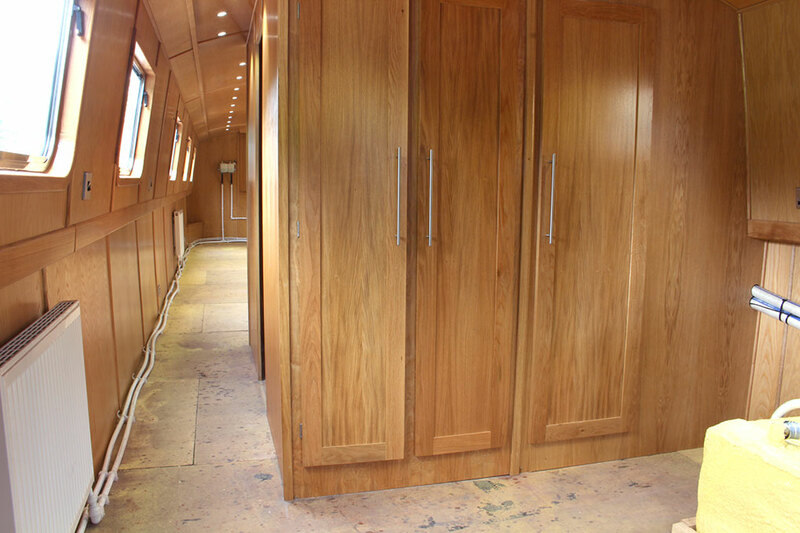 However if you have the a skill set which will compliment the on-board electrics and plumbing, then you may really enjoy being in full control of the whole project and putting your mark on the vessel from start to finish. 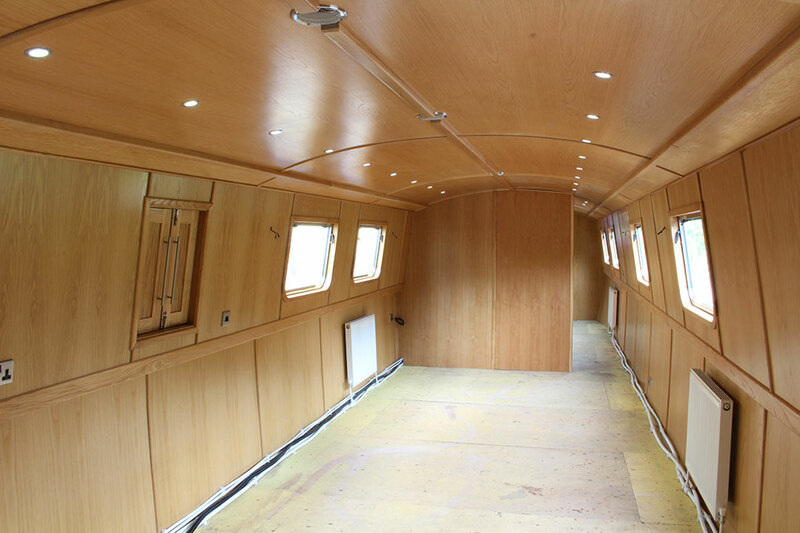 The other consideration is time, it’s not a quick job fitting out a narrowboat or widebeam and you should be realistic when choosing which Sailaway to go for. 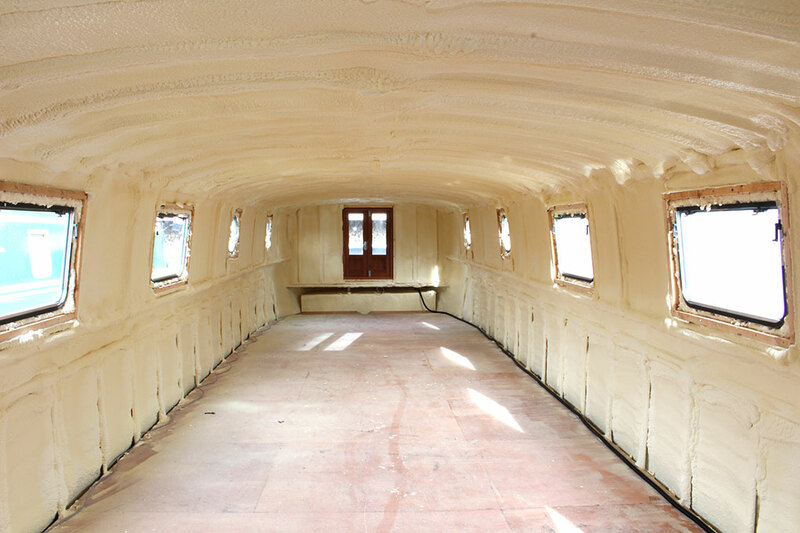 To get the most out of your investment we recommend you take the necessary time to plan your internal layout this starts with understanding what you’re using the boat for how many people does it need to sleep how many bedrooms and what appliances are you looking to house. The design directly links with the vessel length, you’ll either make a layout work to a length or or determine your required length by the design. Either way the design is a very important part of the process. 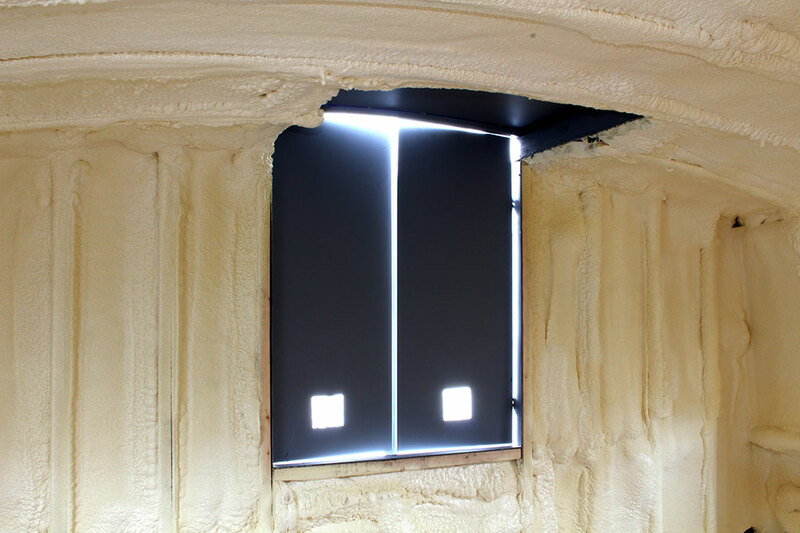 Even with our Sailaway Basic your in control of the windows, stern doors and mushroom vent locations. The location of these items should compliment your design/internal layout. The last thing you want is to work the design around the window locations. If the design is something you’d benefit from a little help our dedicated designer is always on hand to offer you all the advice and guidance you’ll need. In the section above we started to talk about what information we’ll be looking to you for but it’s worth expanding on this for those that are new to Canal Boating or a project of this type. On a Sailaway Basic you can decide on the stern door/hatch location which can be centrally located or to one side, port (left) or Starboard (right). 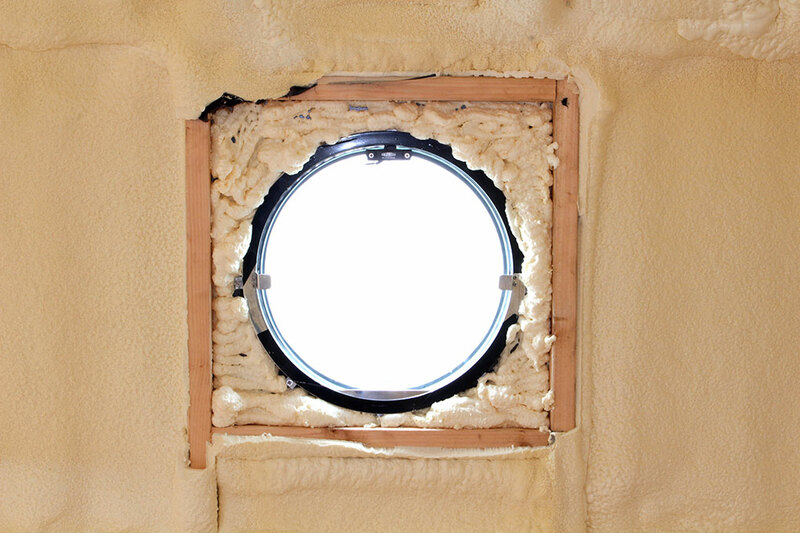 As mentioned in the previous section you’ll also need to consider the window locations and type (choice of port holes or rectangular). Finally the Mushroom Vents (domed topped vents on the cabin roof) can also be positioned as directed. 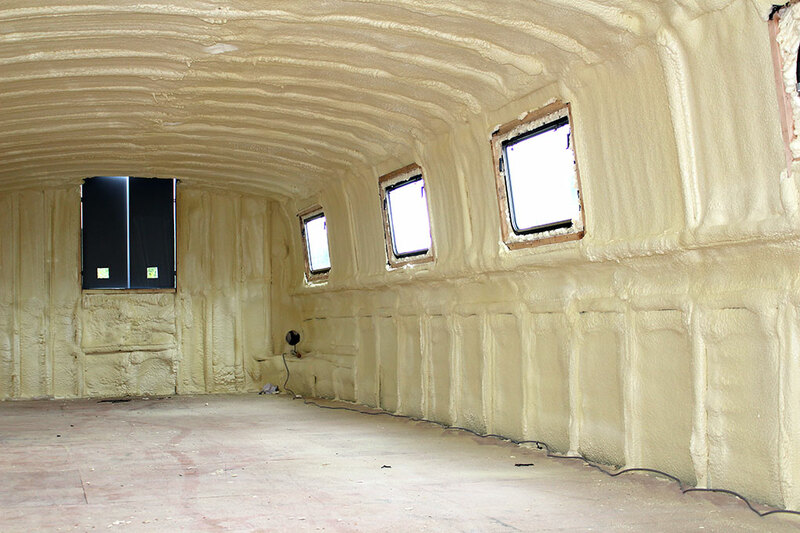 With the Lined we’ll need a little more information in terms of electrical socket locations and room bulkheads (partitions). 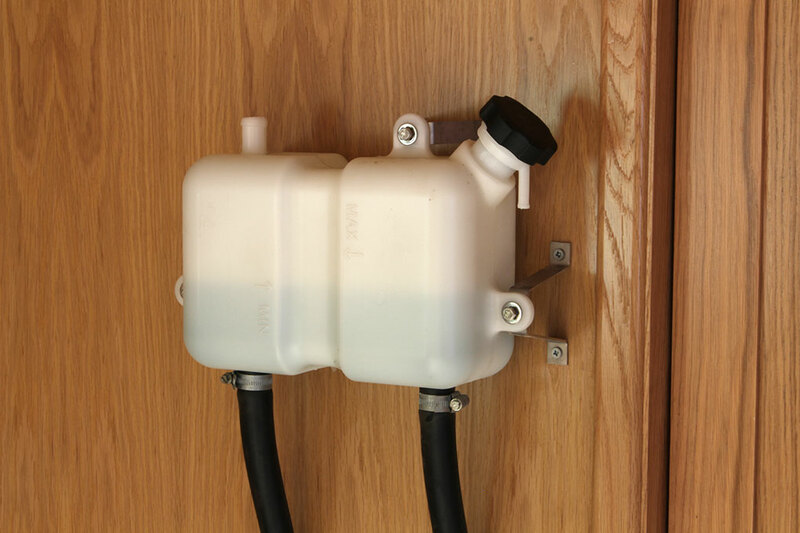 With the Additions you’ll also need to consider the radiator locations and exterior paint colour and coachline colour. 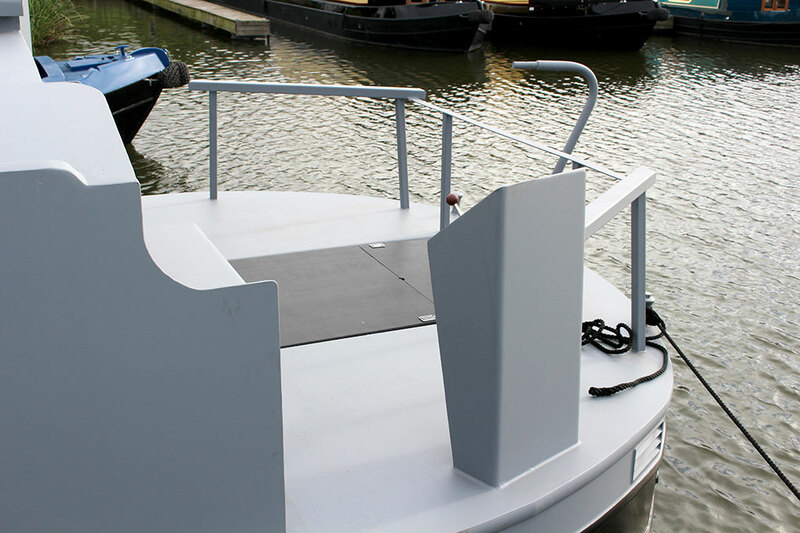 The New & Used Boat company have some of the quickest turnaround times in the UK, we’ll do our best to to bring your concept to a reality in the shortest time possible. Build slot dependent our Sailaway basic turnaround time is around 6 weeks and a Lined or Additions turnaround time is around 8-10 weeks. If you would like to know what build slots we have available please don’t hesitate to contact one of the team who will be able to advise you on current lead times. 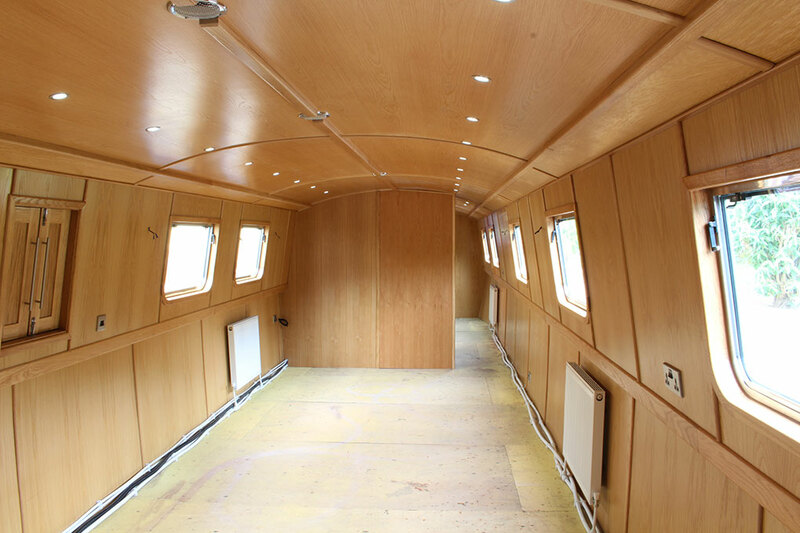 Sailaways Payment Schedule, £5,000 Build Slot Deposit, 10% of total price minus build deposit upon signing contracts, 40% steel complete, balance on delivery at one of our bases or prior to leaving factory if going to outlying location. The New & Used boat company will take care of the delivery for you by organising the delivery of your vessel to a preferred location. We have both Derbyshire and Worcestershire bases which can accommodate delivery if that is convenient for you. If you would like an accurate cost for the delivery please contact one of team with the details of your preferred delivery location and we’ll come back to you promptly with an accurate quotation. The craneage is generally your responsibility in terms of both organising and paying for. If you are considering having you boat delivered to a specific location please contact the marina or boatyard to ensure they have on-site cranes facilitates or can accommodate/facilitate boat craneage. All our Sailaways conform to the current Recreation Craft Directive (RCD). If you are looking to sell your completed vessel within 5 years you will need to carry out the fit-out of your boat in line with the current RCD requirements and organise the relevant paperwork to support this on sale. 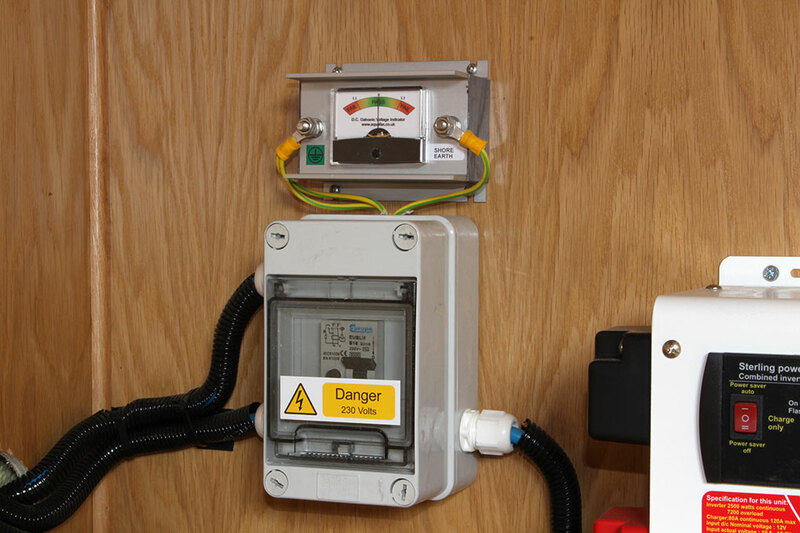 If you would like to a little bit of research into the RCD please click here. For those new to boating every four years you will need to get what’s know as a Boat Safety Scheme (BSS) Certificate in place. With this in mind it’s worth taking some time to familiarise yourself with the BSS. Click here to open up the Boat Safety Scheme dedicated website. 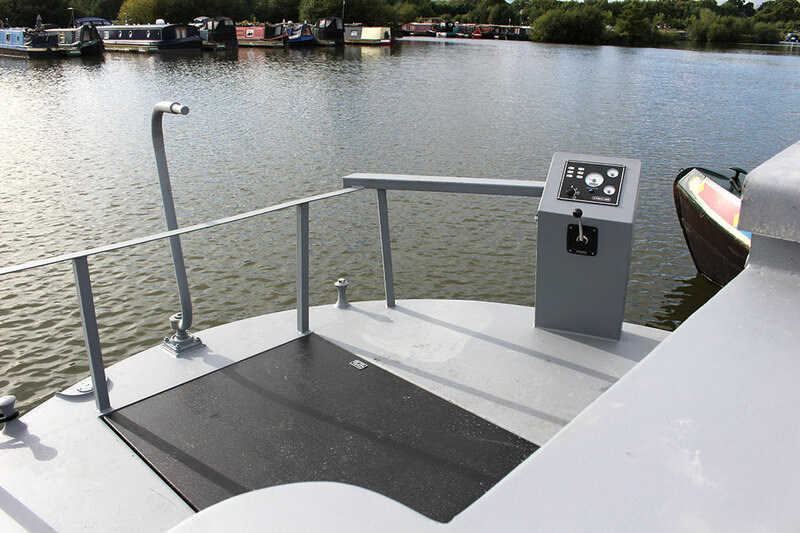 If you would like to some more information regarding our Sailaway Canal Boats, why not use the link below and download a pdf specification. 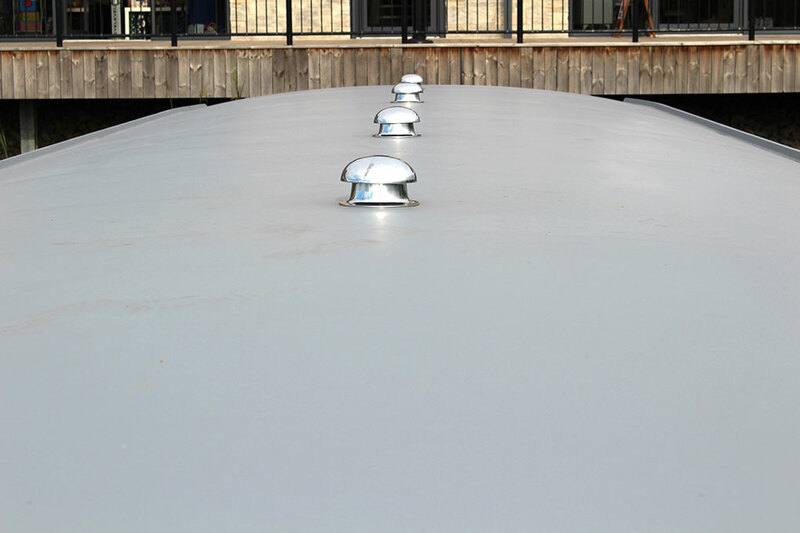 All our Sailaway Canal Boats share the same hull specification and as standard include a comprehensive list of integral parts. To help familiarise yourself with our hull specification and technical information we’ve created a quick reference table which details all parts and equipment which together form the basis of our hulls and the foundation for our fantastic sailaways. 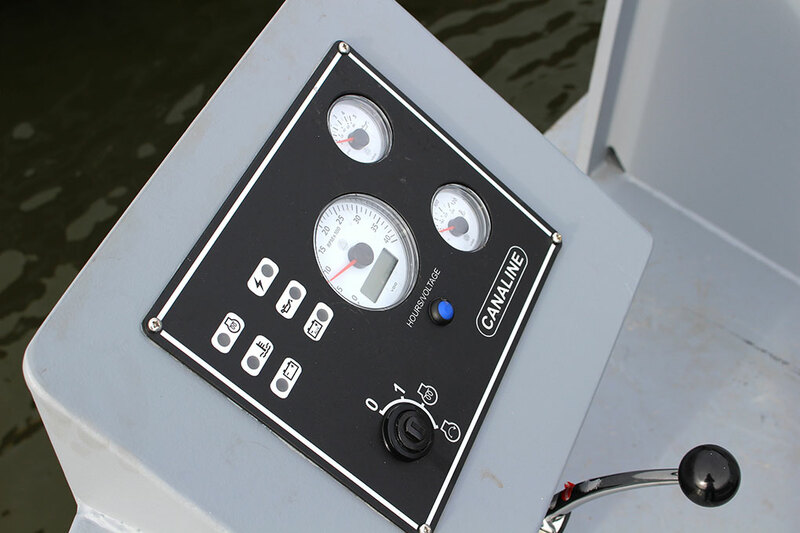 If you are new to canal boats and would like to run through or further understand any of the integral parts or any on-board equipment please don’t hesitate to call one of dedicated sales team. 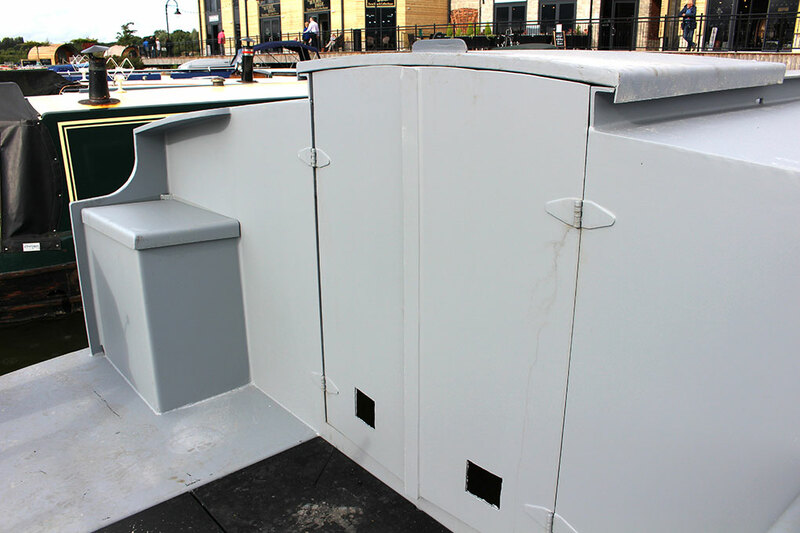 Deck Fittings: Rope stud at bow, 2x bollards at stern, centre mooring ring, plank & pole rack, fender lugs along cabin sides, button fender lugs bow & stern. 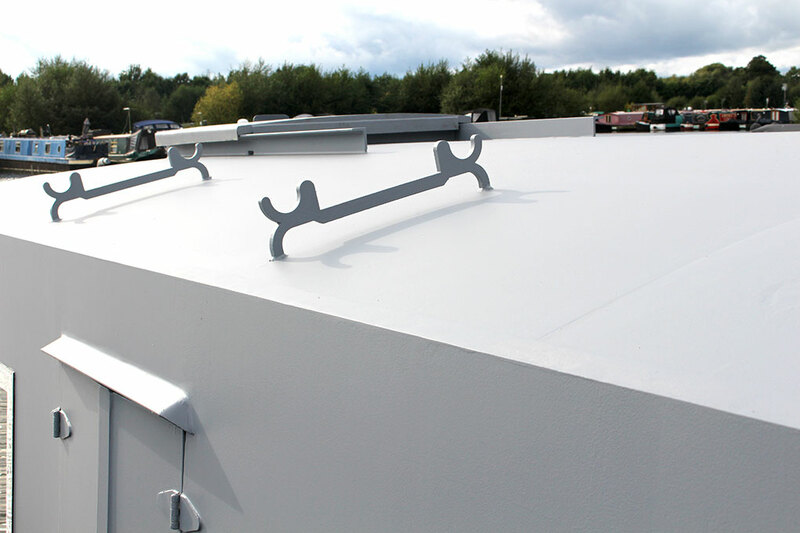 Stern doors: Steel back doors with sliding roof hatch, position either centre, port or starboard. 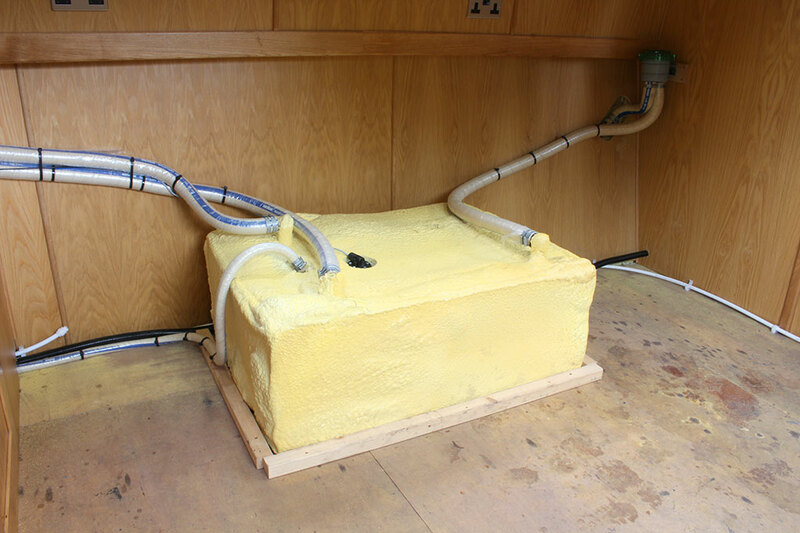 As the name implies even with our ‘Sailaway Basic’ you’ll be able to sailaway as the propulsion system is fully installed. 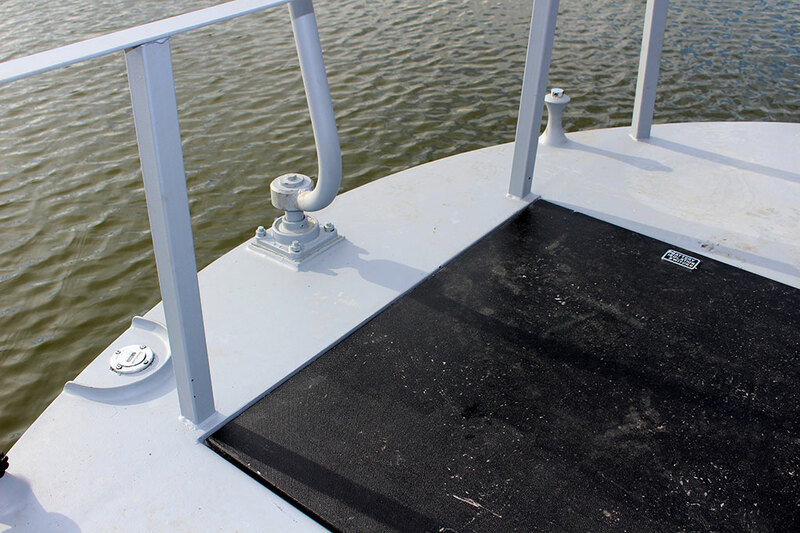 The hull comes with many integral parts as standard including mushroom vents, windows, doors, ballast, sub floors and a sealing coat of primer. 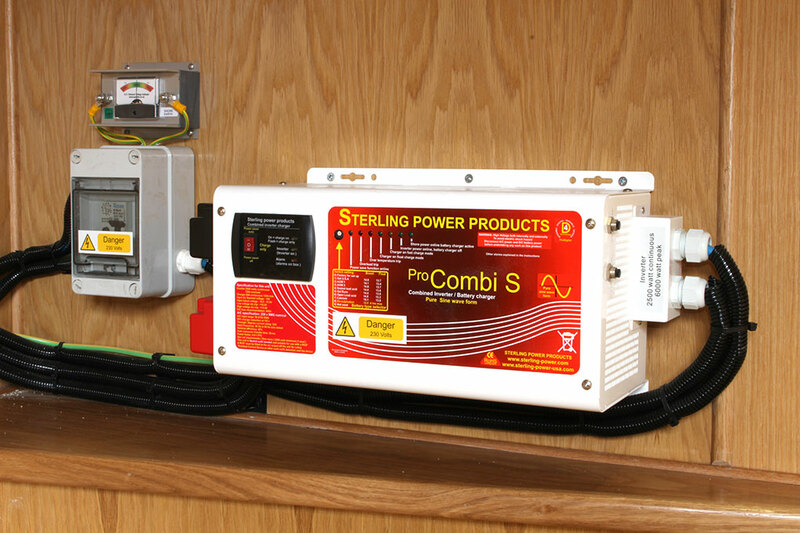 The Sailaway Basic Range of Narrowboats & Widebeams put you in full control of the 12v and 240v electrics, the plumbing / heating and lining/trimming. 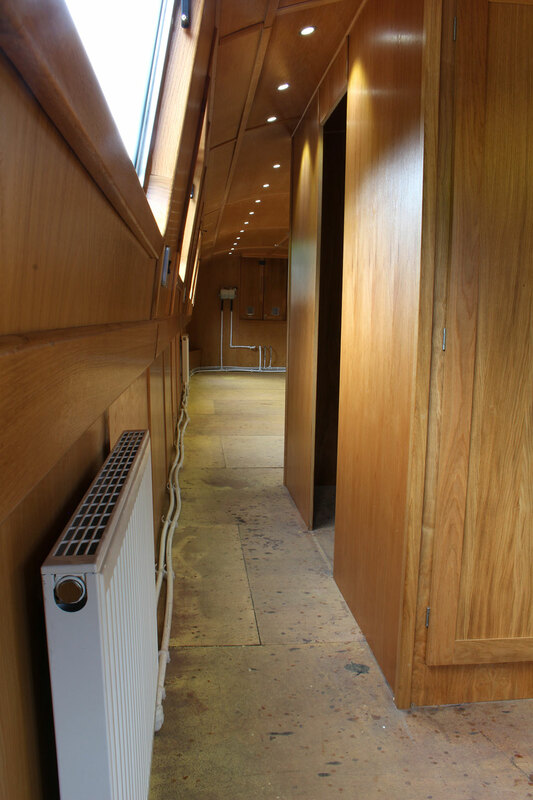 If you are considering this type of sailaway all we’ll be looking for from you is the location of the doors, mushroom vents and windows. All our Sailaway canal boats go through to our dedicated designer who’s always more than happy to cast and eye over your design concept before producing you a bespoke manufactured drawing set for approval pre-manufacture. 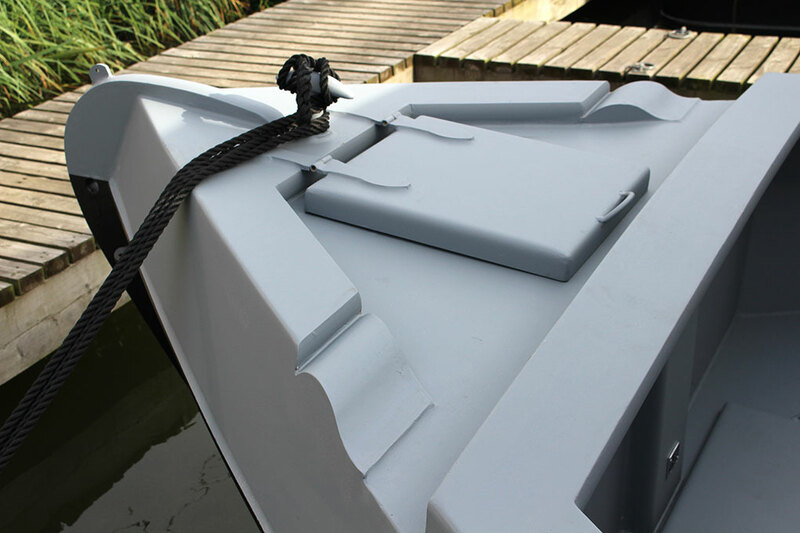 What's included with the Sailaway Basic Canal Boats? COULD YOU BE ELIGIBLE FOR A VAT EXEMPT CANAL BOAT? 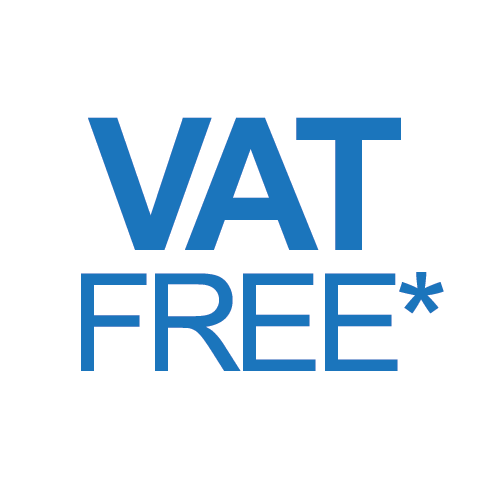 Widebeam vessels of a certain size may qualify for zero rate VAT if they are being used as your sole place of residence. 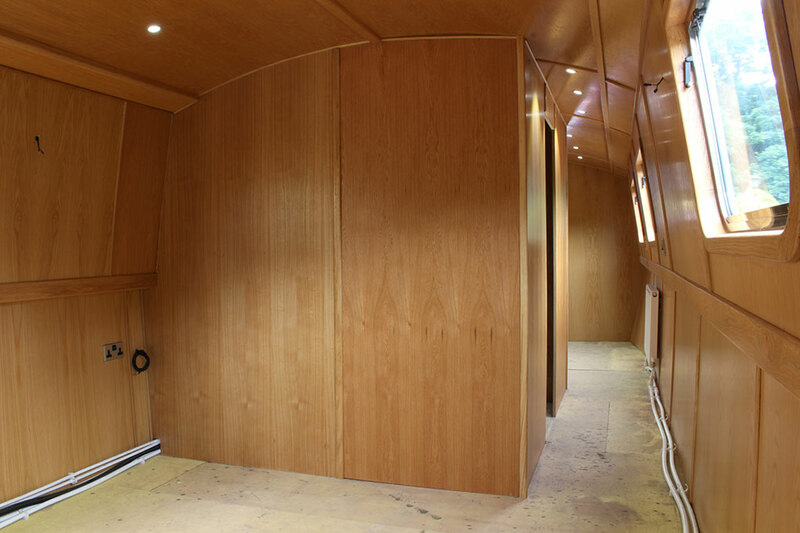 The Sailaway Lined Range comes full lined, by this we mean the cabin sides (above and below gunwale), the ceiling and front / rear bulkhead are all fully lined with oak or ash veneer and trimmed with solid hardwood. 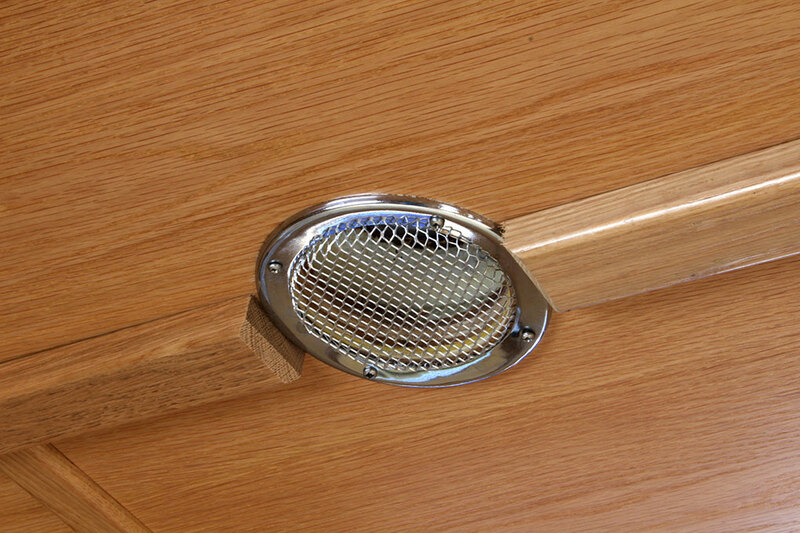 Also included are three further bulkheads for your room partitions. 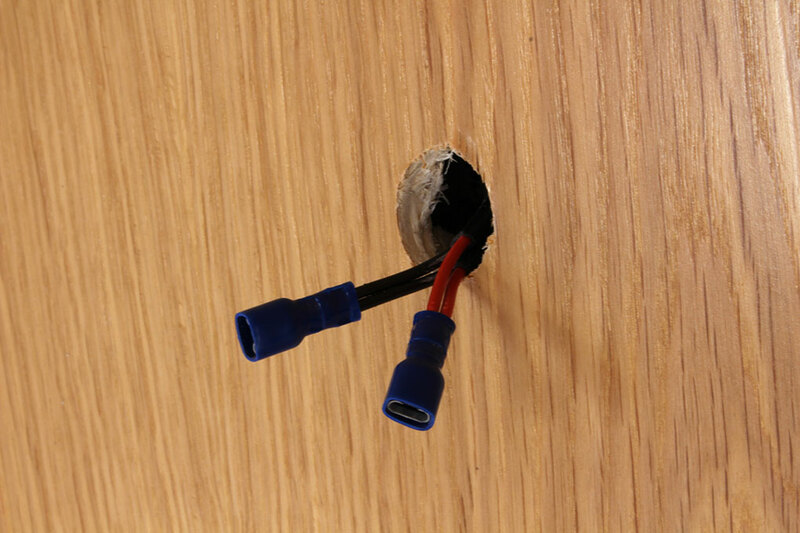 To give you a head start with the wiring the 12v & 240v tails are also installed for you to connect to an AC & DC electrical control panel (not control panels not included). 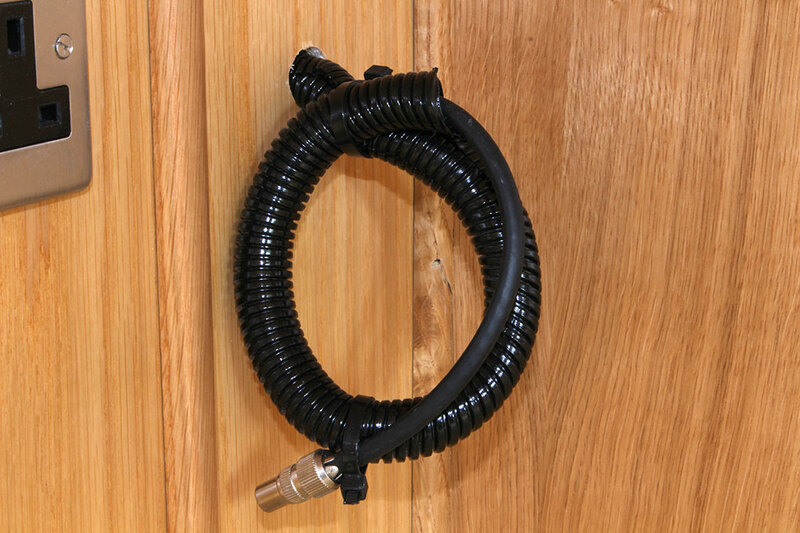 Also included is a stainless steel water tank for your main water supply. 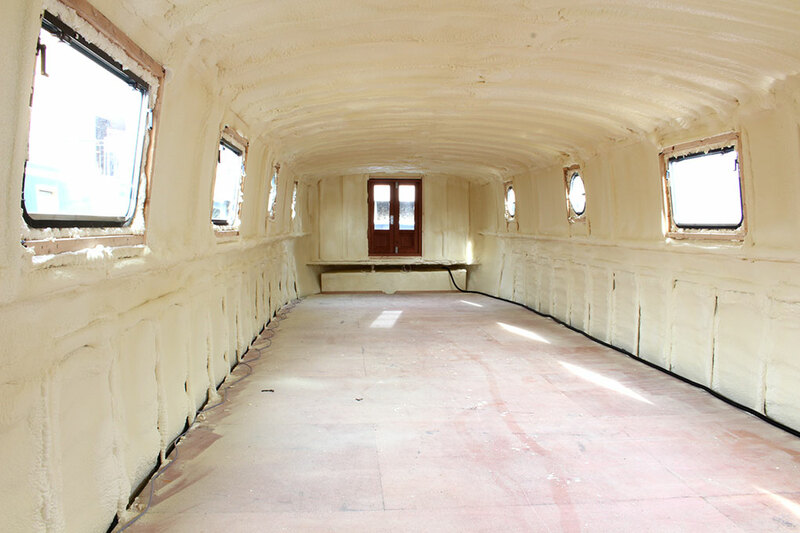 Another huge benefit of the Sailaway Lined is the exterior being professionally painted including coachlines as standard, the average retail price of this alone is upwards of £7,000! 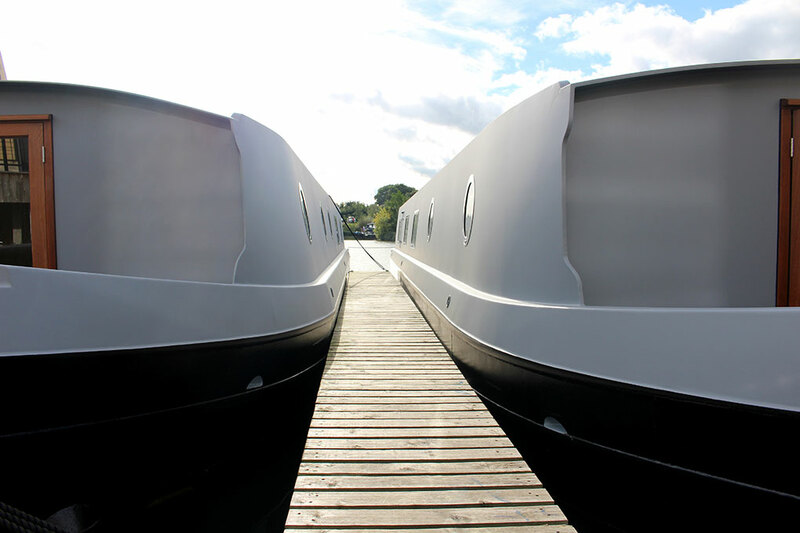 What's included with the Sailaway Lined Canal Boats? Our Sailaway Additions are the most popular of type of sailaway. 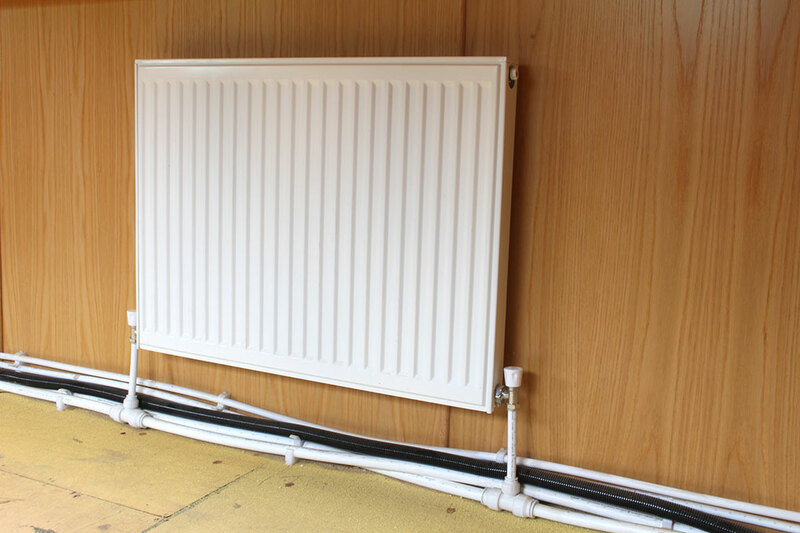 Budget allowing Additions customers really feel the benefits of the added specification and can fully justify the price difference from the lined and basic range. 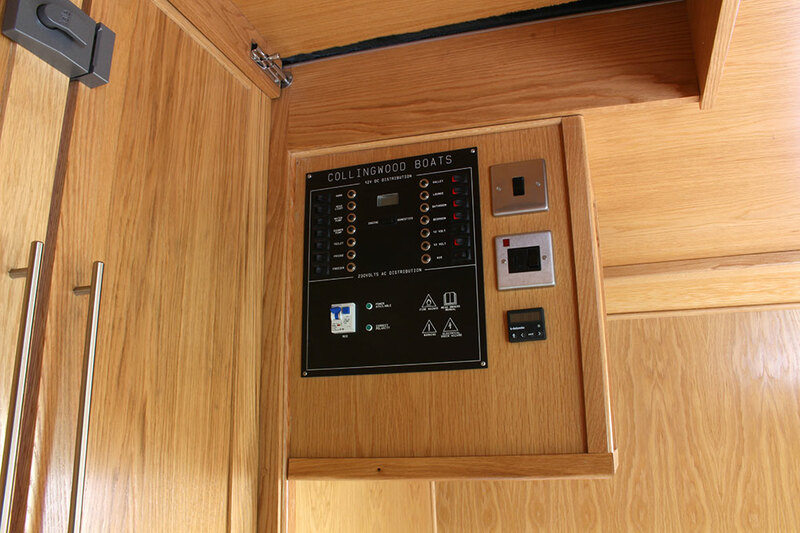 When you invest in a Sailaway Additions you don’t need to worry about any of wiring, the 240v ring main is fully installed with 6 double sockets and likewise the 12v lighting circuit is fully installed including generous quantity of LED lights, all switched to individual rooms. 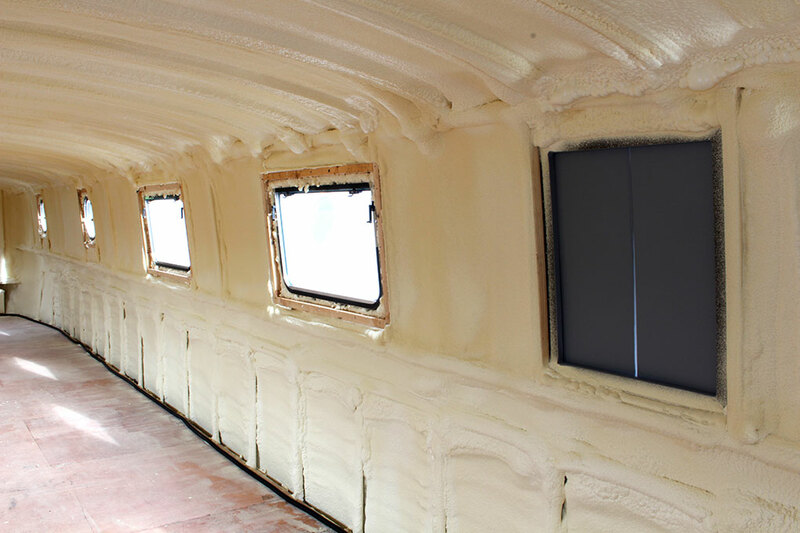 Another huge benefit of the Sailaway Additions & Lined is the exterior being professionally painted including coachlines as standard, the average retail price of this alone is upwards of £7,000! 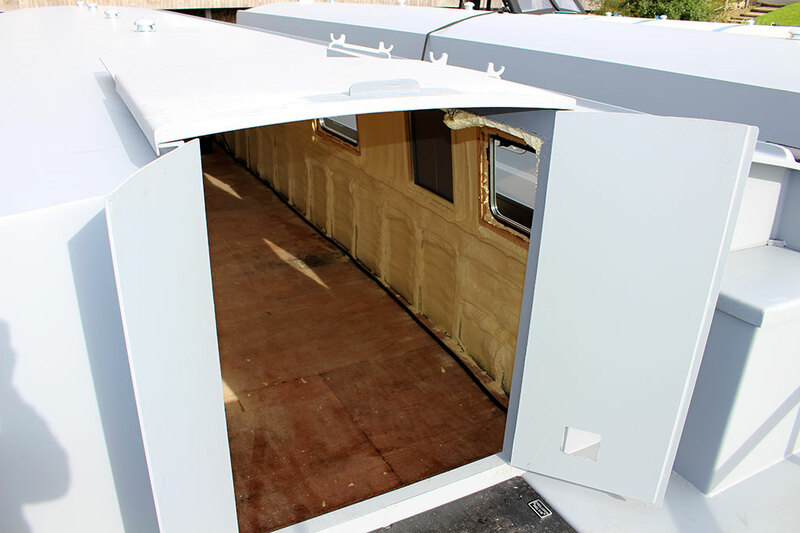 What's included with the Sailaway Additions Canal Boats?